Each case contains 6 boxes. Each box contains 36 packs. Each pack contains 10 cards. Travel to the forest hills where the fragrance of incense from ancient shrines and the sparks of high-voltage Pokemon fill the air. The Sun & Moon Lost Thunder expansion fuses the new with the traditional, featuring Celebi and Ditto plus Blacephalon-GX, Lugia-GX, Tyranitar-GX, and the newest mythical Pokemon, Zeraora-GX. 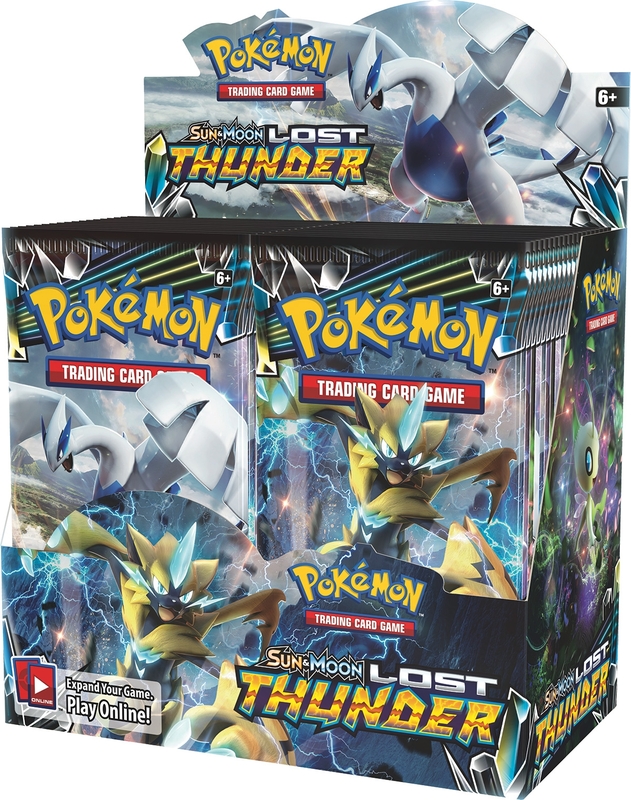 Call down the big thunder and charge up your deck with the high-powered Pokemon in the Sun & Moon Lost Thunder expansion. 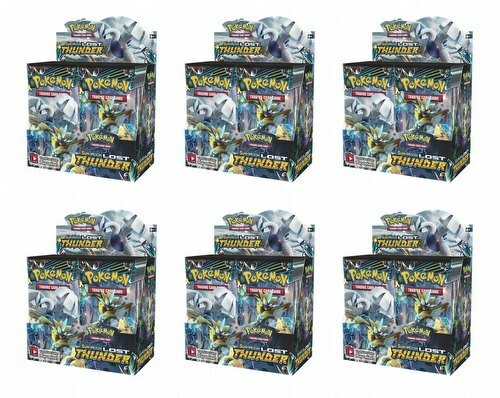 Each booster box includes 36 packs, each containing 10 cards. 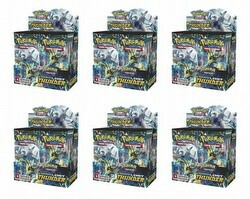 Each booster case includes 6 boxes.